Many people are not sure of what they need to do when they travel abroad to another country. Even though some people travel frequently, they too are not aware of the things that they need to consider to save up some money. It is true especially when it comes to people making phone calls to their home country from another country. If people use the local sim card from their home country, they are going to get a hefty bill. Most often the bill amount surpasses their trip cost. You need to be very careful and smart if you want to enjoy the trip, connect with your family and friends and save some money. It is wise if you are planning to get an international roaming sim card. There are so many excellent or fantastic benefits that you get to enjoy when you choose this particular option. Many people do not realize it and as a result, suffer a lot later. All About the Sim Card: Now, there are some things that you need to understand before taking things further. SIM is an acronym for Subscriber Identity Module. It is a plastic card that is tiny which you can insert into your mobile phone or device. It uses GSM or Global System of Mobile Communications to help you in contacting people. A sim card can save the necessary information about the user on the phone. GSM is the most popular system that they use across many countries in the world today. But, there are certain service providers in America such as Verizon and Sprint that use cell phone radio system which is known as CDMA. Most of the companies and phones sold in the US use GSM. It is, therefore wise to first check with your service provider to see if your phone is compatible with other sim cards. Only when your phone is ‘unlocked’ you can use various sim cards in it. 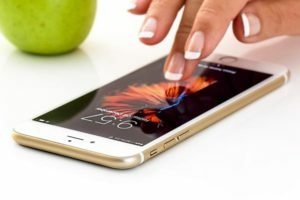 International Roaming Charges: Even though your phone is locked, you will be able to use it internationally by activating international roaming. But, it is crucial for you to check with your service provider to learn about the existing international roaming charges. Usually, the costs are pretty high, and you might have to use your phone sparingly if you do not wish or desire to waste your money. International Sim Card: The best option that you have is to use an international sim card. Using it, you can call people anywhere in the world. Switching between an American number and any other foreign number is pretty simple. People do not have to pay anything extra to reach out to you. And you do not have to change your sim card everytime you land in a new country. Calls that are incoming and text messages are free. Since the plans are pretty affordable, you can speak with your friends and family without worrying much. You can get this type of excellent benefits when you buy the best international roaming sim card. Take time to research and find the best service provider.